* Features may vary depending on Operating System(OS). MYMobile Protection technology enables Antivirus &amp; Malware protection, Real-time monitor, Firewall, Performance optimisation, Internet access monitoring, Credit card &amp; Identity theft protection. Download fully-functional 30-day trial version for FREE! 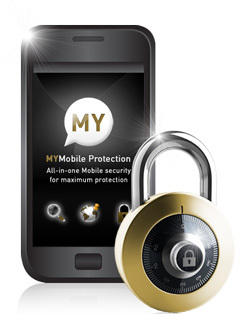 MYMobile Protection takes the guesswork out of mobile security and helps to eliminate the technobable that makes mobile security difficult to understand and control. By combining an easy-to-use graphical interface with award-winning, business-strength technology and preconfigured settings, MYMobile Protection makes getting started straight forward and acts to maintain security with automatic updates. Over 60 million installations since 2005. Awarded by Frost &amp; Sullivan as market leader in mobile security 2009. It is always a good idea to try before you buy. Thank you for downloading software from MYMobileSecurity. We appreciate the opportunity to secure your mobile life! MYAndroid Protection 2.0 Or La..